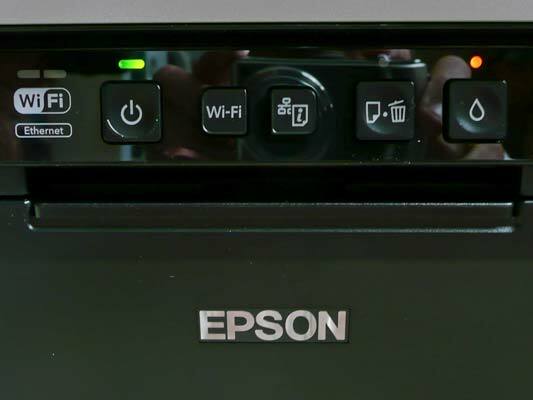 When it comes to photo quality inkjet printers, Epson is usually the first name that comes to mind. While there are a number of options available for the casual to serious user in the desktop size, once you hit 13” wide, the number of choices is much more restricted. 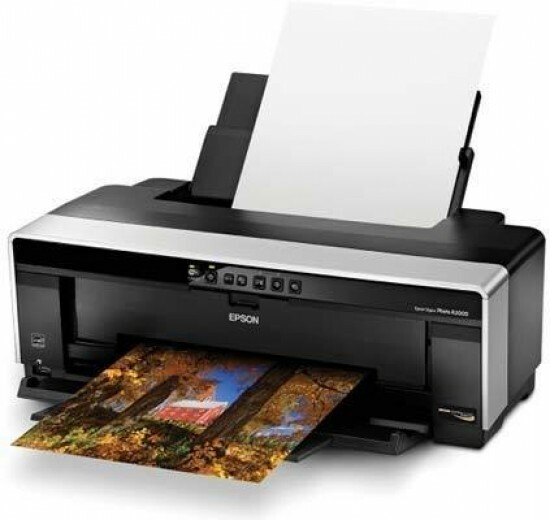 Currently, Epson and Canon own this market, and of these two, only Epson offers a true range of printers in this size. There are two pigment printers from Epson, the $849 / £699 R3000, and the new $499 / £419 R2000 that replaces the popular R1900. Although both printers look similar at first glance, and both use pigment inks, under the hood they are very different products and will appeal to a different type of photographer. 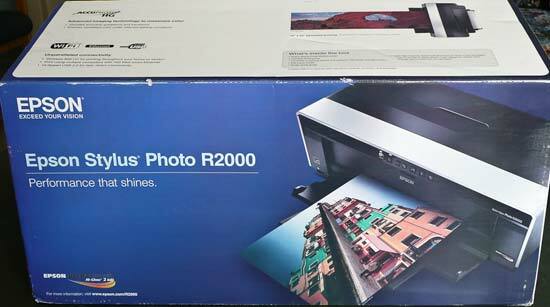 To be clear, the Epson Stylus Photo R2000 isn't a ground breaking product. It uses the same ink as the R1900 it replaces, but with the AccuPhoto HG technology, print quality is improved with better tonal gradations. Both Ethernet and WiFi are new and welcome options, but perhaps the most welcome new feature from my perspective is the larger capacity ink tanks. 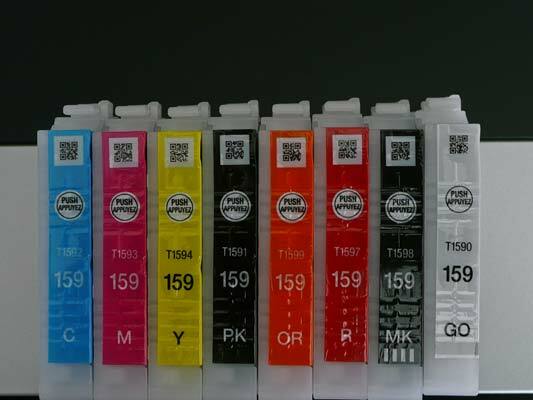 With about 50% more ink than the R1900, the cost per print is less, and you'll be replacing expensive cartridges less frequently. Setup of the Epson Stylus Photo R2000 is straight forward enough. Unpack the printer, remove the seemingly endless pieces of tape, and plug it in to charge the ink lines. 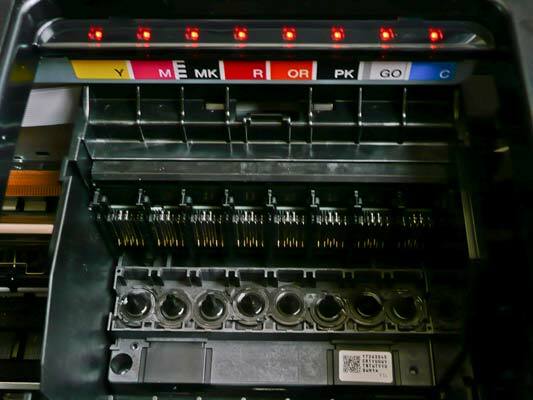 Once the inks are charged, you'll run through the software setup, deciding whether to operate via USB or networked. 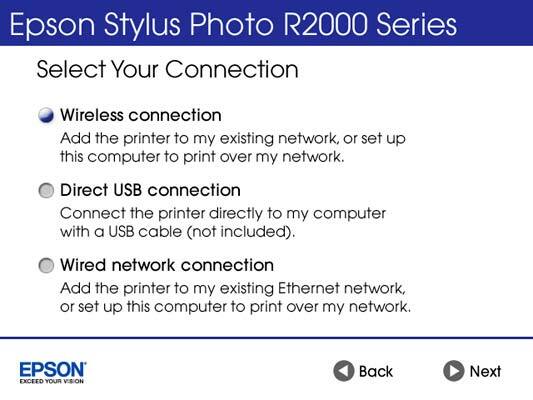 The Epson Stylus Photo R2000 adds both wired Ethernet and WiFi connections, so you have plenty of options to choose from. I setup via WiFi, the process going smoothly, and the printer available in just a couple of minutes across my network. After the basic driver install, Epson adds in a few utilities, and the Print CD program to use the provided CD/DVD print feature. In this chart, the R2000 is shown in true color, while the R3000 is shown in red. 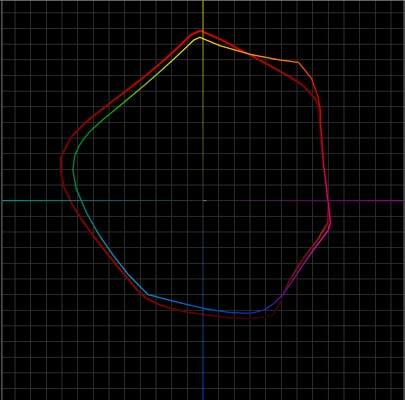 As you can see, the R2000 is significantly wider in the oranges while losing a bit in the greens. You're going to go through more Gloss Optimizer than anything, so when you buy ink, I'd suggest doubling up here. 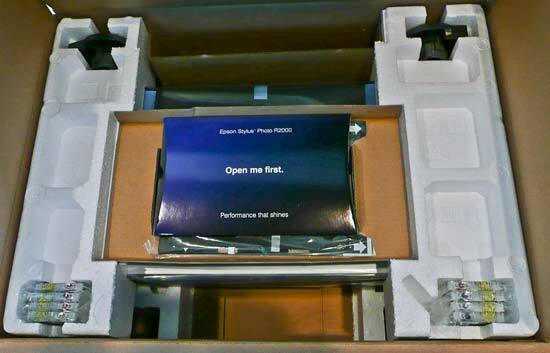 Epson obviously recognizes this, as they supply two cartridges in the box. Ink runs about $22 per cartridge.